Leigh Fallon’s Shadow of the Mark, the sequel to Carrier of the Mark, is a captivating love story set against the lush backdrop of Ireland. Megan knew she was destined to be with Adam from the first moment she saw him and now they are determined to be together. But Megan and Adam are Marked Ones, and a romance between two Marked Ones is strictly forbidden…and could cause worldwide devastation. 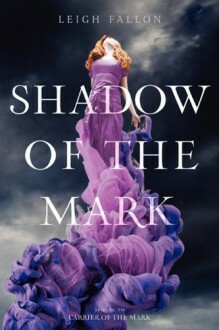 Leigh Fallon’s Shadow of the Mark is a great choice for readers who love Becca Fitzpatrick's Hush, Hush. Really liked this sequel. Review to come.